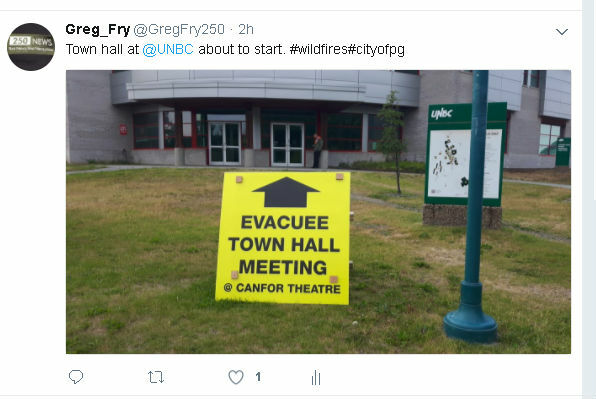 That was just one of several questions asked by evacuees moved to Prince George due to the wildfire situation in the Cariboo at last night’s town hall meeting in the Canfor Theatre at UNBC. 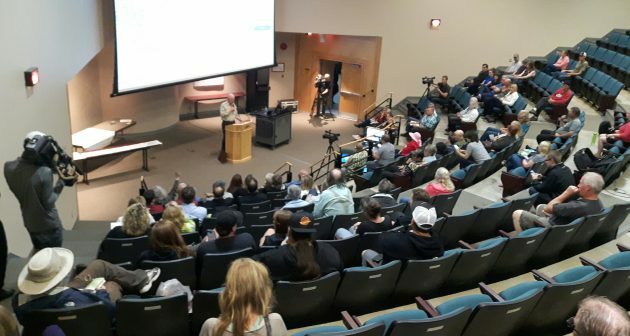 Hamm told the dozens in attendance the conditions in the Cariboo are twice as dry this summer as it was in the summer of 2010 – the most recent summer the region was ravaged by wildfires. Pressed by another evacuee if the BC Wildfire Service could have done more to prepare for the onslaught of wildfires we’ve seen the past week, he said likely not. 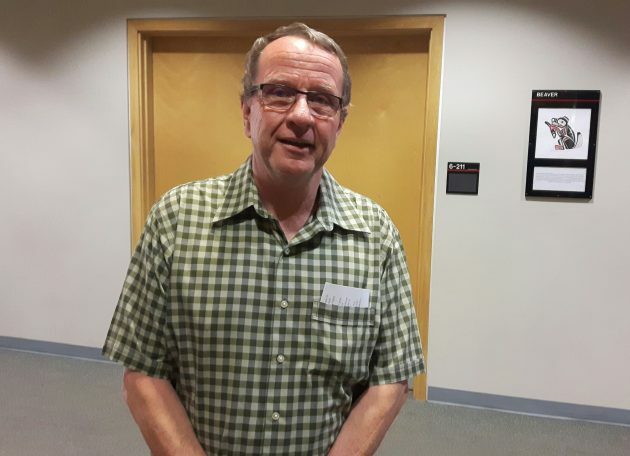 Al Richmond, chair of the Cariboo Regional District, said as of last night, the CRD had issued 18 evacuation orders and another eight alerts in his region. Decisions he said that weren’t made lightly. 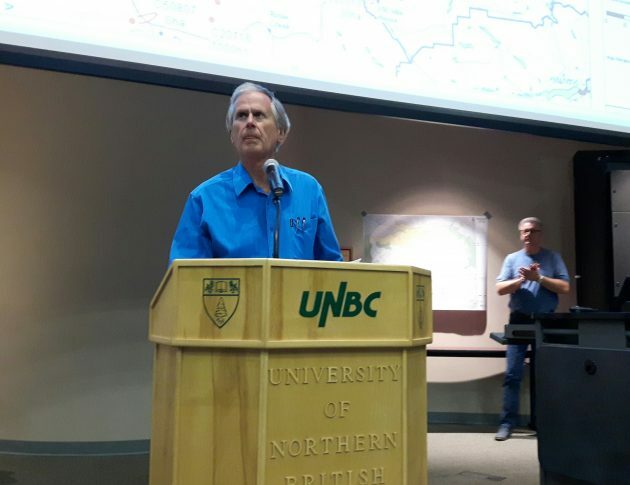 Asked about lost structures in the Cariboo so far, he confirmed six property owners had lost structures (two in the 108 Mile area and six in the150 Mile area). Asked if anything was stopping Williams Lake residents from going home Richmond said nothing but the Highway 97 closure just south of Quesnel but advised against it anyways. “The air here (in Prince George) you can breathe – the air in Williams Lake is not good to breathe,” he said. He added it was necessary though because of the fast-moving Gustafsen fire. Public Safety Minister Mike Morris addressed the reported looting going on throughout the Cariboo and said he’s taking action. “I just signed a letter this afternoon authorizing the RCMP in B.C. to bring in more resources from out-of-province to make sure that your communities are safe,” he said. “Because what I am looking for is when is it going to be reasonable for me to go home and I can see the alert going on most of the summer and I don’t really want to stay in Prince George most of the summer,” she said.